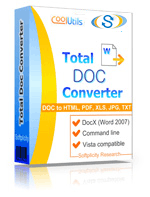 Convert ODT to HTML Web files online in a few clicks! Use a ODT to HTML Online Converter or take a batch App for more! Description ODT format is a native format of Writer app from OpenOffice package. This is an open text standard for exchanging formatted office documents that may contain text, styling parameters, tables, charts, graphic data objects. It is a joint product of a few organizations, fully open for use, being a free and lighter alternative for DOC. ODT files can be edited by MS Word 2007 and later, while the original formatting of the document can be partly lost. ODT doesn’t support digital signature.